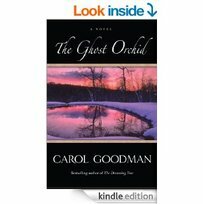 The first "ghost book" I read by Carol Goodman was The Ghost Orchid. Although the author of many novels, this and The Widow's House are specifically about haunted places. Ellis Brooks is a writer invited to an artists' retreat at the long abandoned Bosco estate in the Adirondack mountains to write her first novel. Inspired by a pamphlet she fatefully discovered describing a seance that took place there in 1893, Ellis Brooks comes to Bosco to write about the tragedies that befell the Latham family and the role Corinth Blackwell, a spiritual medium, might have played. Bosco and its grounds seem to have never been able to shrug off the aura of tragedy and the past intermingles with the present to affect the people staying there now. The book travels back and forth between the past and the present. Events become more eerie and mysterious as the past seeps into the present. The pacing, dialogue and characters are all excellently done. It is a very good ghost story. 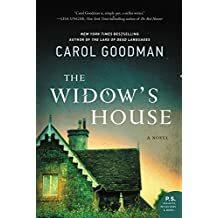 Another suspenseful ghost story by Carol Goodman, The Widow's House follows Clare and Jess, financially strapped married writers leaving the city for more peace in a college town in the Hudson River valley where Clare is originally from. They end up moving into a large but decaying estate owned by their former professor and mentor as caretakers. While struggling with the state of their marriage Clare also starts hearing nonexistent infant cries and seeing visions of apparitions of a ghostly woman. A beautifully written gothic novel, it evokes many classics (Rebecca, The Turning of the Screw, Haunting of Hill House and The Yellow Wallpaper to name a few) as the reader is taken down many twisting paths along the way to the climax. Highly recommended.